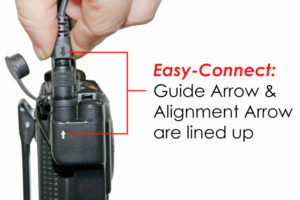 It’s all too familiar to law enforcement: You are connecting your two-way radio accessory to your radio and the pins do not line-up. You’re fumbling and twisting, many times bending the pins, causing detrimental wear and tear to your radio and accessory. Eventually, everything lines up correctly and you are finally ready to communicate. The Ear Phone Connection has solved this problem with their new “Easy-Connect” system. 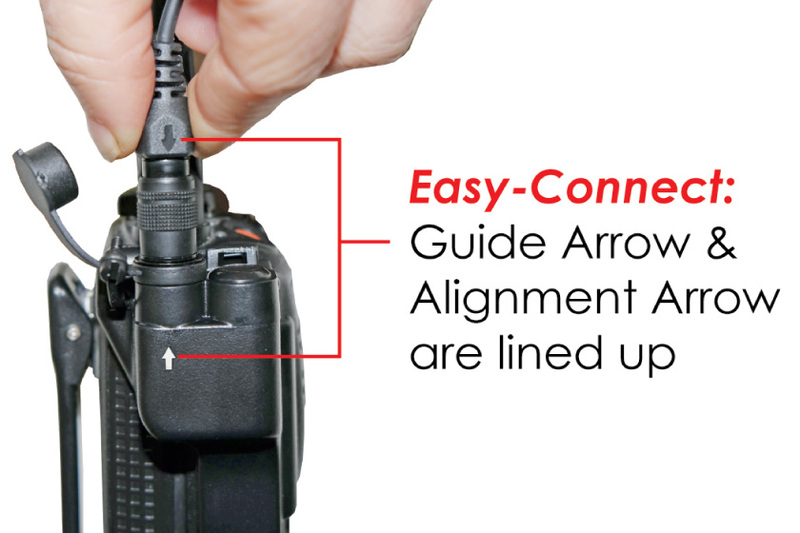 The new design features two alignment arrows, one on the strain relief cable connector portion of your Hawk EC Lapel Microphone and the other is located on the EC Quick Release adapter. The radio connection is immediate and secure. The Hawk EC (Easy-Connect) Lapel Microphone will be available to retail stores and websites in January 2018. Earphone Connection’s approach is simple. We listen closely to officers in the field and design communication accessories specifically for their needs. Every officer knows, a radio is only as good as what it’s connected to. Visit our web site to view all of our breakthrough tactical communication accessories at www.earphoneconnect.com.